The single-hand watch Defakto Mono offers a minimal design that uses five-minute indexes to decode time. 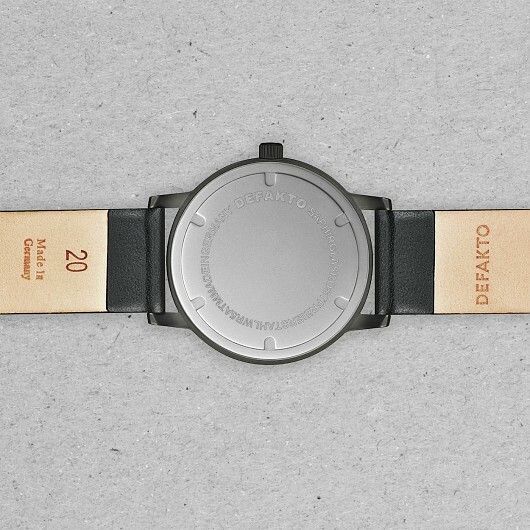 The casual scale stimulates the wearers intuition and leads to a more relaxed experience of time. Its very flat 6.6 mm stainless steel case has a diameter of 40 mm. 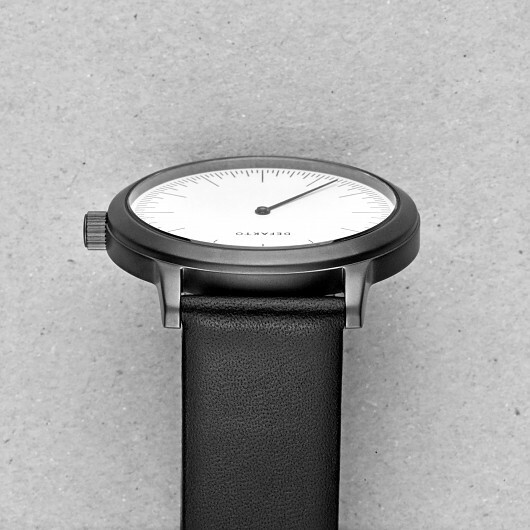 The watch offers ample space to carry the puristic aesthetics but doesn't wear big – making it a perfect unisex watch. All indexes have the same lineweight and double their length at each step from 5 to 15 to 60 minute intervals. 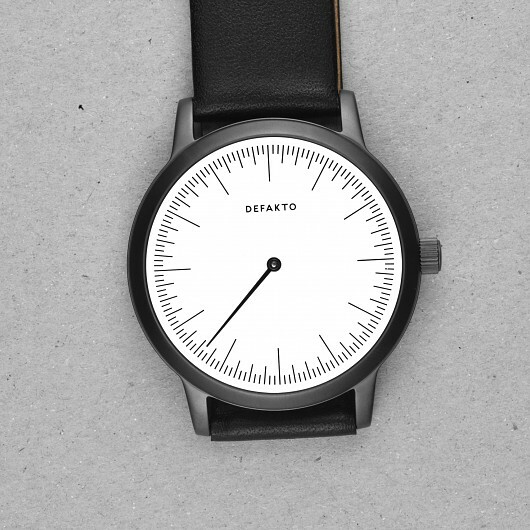 In combination with the matching needle-like hand, this is a watch for minimalists that like the idea of combining understatement with unique concepts of time. 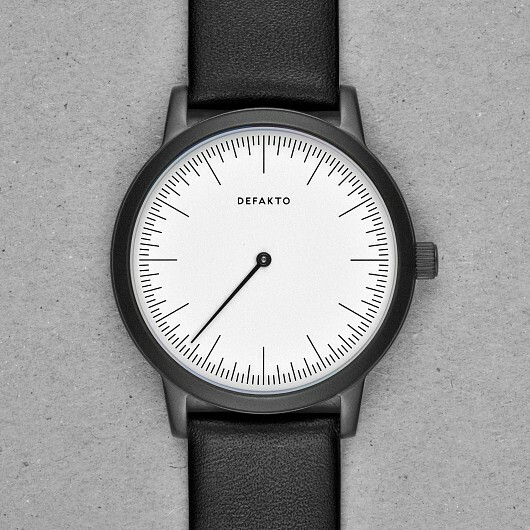 The dial of the minimal design Defakto Mono one-hand watch is based on a 12 hour scale and is broken up into large hour, medium 15-minute and small 5-minute intervals. The singular hand of the watch is used to tell the hour and approximate minute. For example, all of the above shown models are set to 7:25 am/pm. This single-hand watch will change your perception of time as it asks for your intuition.